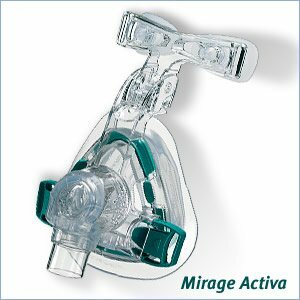 If you move a lot when you sleep and experience mask leaks as a result, try the Mirage Activa™™ nasal mask. The Mirage Activa™ uses ActiveCell™ Technology to automatically adapt to the changing positions of active sleepers. It allows the mask frame to move independently of the cushion, which helps the cushion stay in place and maintain a seal during active sleep. Independent clinical studies support the Mirage Activa™ nasal mask's superior seal and comfort.